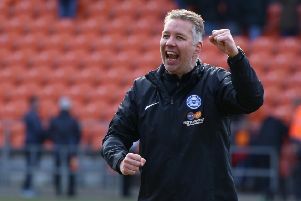 Peterborough-based referee Darren Deadman has been sacked by the Football League, according to national newspaper reports. The Sun and the Mirror are reporting Deadman has been red carded for gross misconduct. Deadman has been on the Football League list since 2004. He refereed a League Two play-off semi-final between Luton and Blackpool last season.